IronSky wrote: I don't like you. halo is a jerk but he left. all my friends, im so sorry i was mean to u guys :*( im so sorry my friends hate me so bad. im SO SORRY DEATH!! but one more thing... sorry! Deathwatch, we know you can edit his posts and profile. 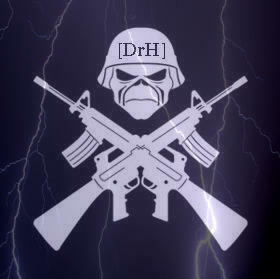 IronSky wrote: Deathwatch, we know you can edit his posts and profile. Stop doing deathwatch, iron's right. I SWEAR TO GOD I DIDN"T DO ANYTHING, HE TYPED THAT, AND I"M REALLY ANNOYED TOO, I"M NOT A RETARD, SO DON"T THINK I AM ONE, OK? May i ask why u hate me so much guys? i made that post because Death hates me so i was gonna kid around lol. I don't hate randoms, I just think they should remember their place. Duel me, then I can guarantee your list of duels will be worth something. ... who tf r u?